Below you can view all the condos for sale in the Willows By The River subdivision located in Marietta Georgia. Listings in Willows By The River are updated daily from data we receive from the Atlanta multiple listing service. To learn more about any of these condos or to receive custom notifications when a new property is listed for sale in Willows By The River, give us a call at 404-998-4148. 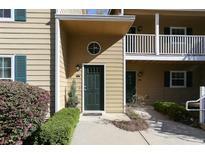 Close To I-75, 285, And Nature Walking And Cycling Trails. MLS#6539203. Atlanta Fine Homes Sothebys Intl.. Walk To Chattahoochee River National Forest Park & Close Proximity To 400 & 285 And The Brand New Braves Stadium! MLS#6536213. Keller Williams Realty Partners. Level Walk From Parking To Front Door. No One Above You. MLS#6526251. Atlanta Communities. 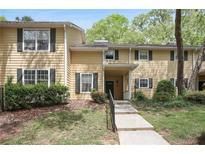 Close To I-285, Shopping, And Restaurants! MLS#6526891. Village Realty. Tremendous Schools With Great Access To Highways. MLS#6517994. Realty One Group Edge. Walton Hs District! Move In Condition. MLS#6515255. Harry Norman Realtors. Friendly Community W/ Pool & Fitness Center, Within A Few Minutes Walk To Chattahoochee National River, 15 Miles Of Hiking & Biking Trails & Close Proximity To Ga-400!! Wow! MLS#6511728. Keller Williams Realty Atl Perimeter. Fresh Paint, New Carpet, And A Brand New Hvac Make This One Move-In Ready! MLS#6502550. Keller Williams Rlty-Ptree Rd. 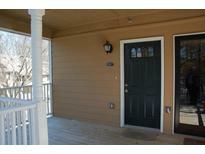 Close To I-285, 75, Nature And Walking Trails, Cycling Trails. MLS#6119640. Century 21 Results.